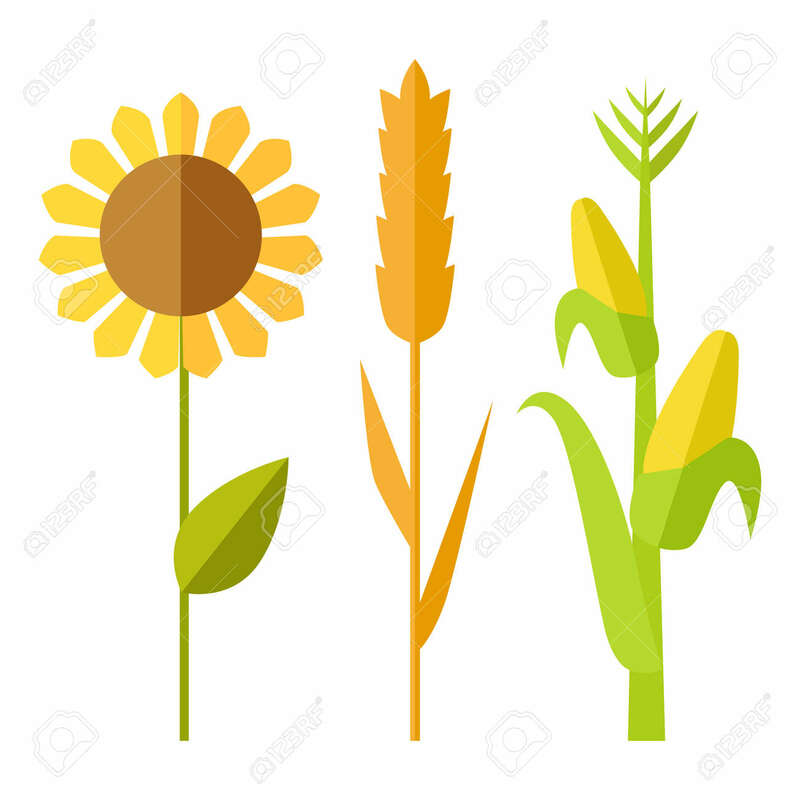 Sunflower, Wheat, Corn Vector. Flat Design. Traditional Agricultural Plants. Illustration For Organic Farming, Industrial Growing Companies, Grocery Shops Ad, Element, Icons Infographics Royalty Free Kliparty, Vektory A Ilustrace. Image 60315412.